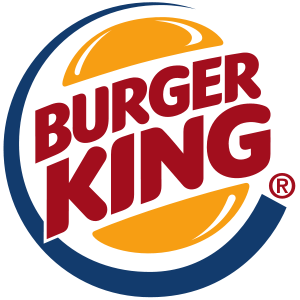 Burger King Worldwide Inc (NYSE:BKW) is set to open its first stores in India in a span of 2 to 3 months. In an announcement made on Saturday, Rajeev Varman, head of the U.S. hamburger chain’s unit in India, said that the company will initially start with a dozen stores. The company’s entry in India was first disclosed a year ago when it made an agreement with Everstone Group, a private equity and real estate firm operating in India and South East Asia, to establish the Burger King brand through long term master franchise and sub-franchise agreements that covers the whole of India. Burger King Worldwide Inc (NYSE:BKW) sees India as a unique market with a huge potential and will accordingly adapt it’s menus to suit the taste of local customers in keeping with India’s majority Hindu culture. Diners will be offered chicken, mutton, and veggie sandwiches in lieu of the traditional beef burgers. Even as its stores are yet to be opened, the fast food chain has already offered its Indian customers an option to order online the Indian version of its signature Whopper burger for just about $2 a piece. The company has got about 1200 orders so far. The tweak in the Indian menus of Burger King Worldwide Inc (NYSE:BKW), which does away with beef, comes even as the fast food chain tries to promote its offerings other than those using beef as its main ingredient in its stores outside of India. This is because of the rising cost of beef, and the company, along with other fast food chains such as Wendys Co (NASDAQ:WEN) and McDonald’s Corporation (NYSE:MCD), find it more viable to promote non-beef products rather than make a price increase in their traditional beef menus. In a report by Reuters, Burger King Worldwide Inc (NYSE:BKW) India unit chief executive Varman has stated in an email that the company will establish its first 12 stores in India to serve as its basis of planning further operations and expansions in the future, noting that the fast food chain’s China, Russia, and Turkey units have been able to sustain a growth of about 100 outlets a year.